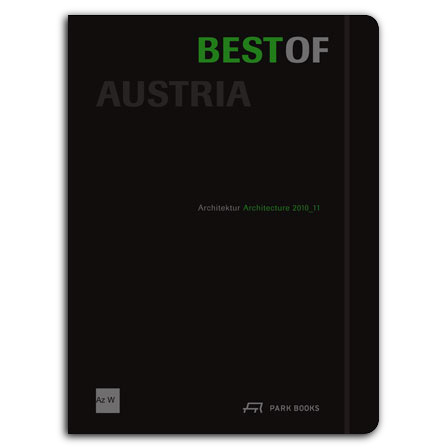 Best of Austria is edited biennially by Architekturzentrum Wien Az W to present award-winning buildings in Austria by Austrian and international architects. Covered are all architecture prizes that have been awarded by public and private institutions or corporations in Austria. Thus each edition provides an up-to-date survey of contemporary architectural culture in Austria. The new 2010/11 edition presents around160 projects, each with images and a floor plan, section or elevation as well as short introductory texts. Included are projects by such renowned firms as Baumschlager Eberle, Coop Himmelb(l)au, Delugan Meissl Associated Architects, Hermann & Valentiny and Associates, David Chipperfield Architects, or UNStudio.